Today, Facebook has agreed to buy photo-sharing site, Instagram, for a reported $1 billion in cash and stock in its biggest purchase to date. As Facebook have been focused on sharing photos since its inception, this isn’t a surprising move but it may have been unexpected for those who use Instagram as a separate service. At the moment, according to Facebook CEO, Mark Zuckerberg, the Instagram community shouldn’t be worried as it will remain its own separate entity. We’ll be working with Facebook to evolve Instagram and build the network. We’ll continue to add new features to the product and find new ways to create a better mobile photos experience. This is definitely a milestone for Facebook and is a key indicator that they are willing to incorporate large, established communities into its portfolio. Those Zuckerberg suggests that he doesn’t plan on doing many more acquisitions of this size, who’s to say this won’t be the start of a trend. As long as Facebook doesn’t become the social network killer (think of what happened to Flickr in the hands of Yahoo), it is only set to benefit from these types of acquisitions and become an even bigger part of our lives than it already is. 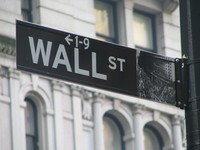 Communications and marketing executives at 150 US-based financial firms have admitted that the responsibility for poor reputation lies with them, according to the 2012 Makovsky Wall Street Reputation Study. 96% of the group said that they invite negative public perception by their actions or inactions, while negative public perception topped the list of challenges these firms must overcome in the next year. I wrote a previous post on digital marketing clichés that was unexpectedly well received, so I’m writing a second to include the remaining lines that I couldn’t put in the first one – with a focus on more general sayings this time. So, without further ado, here are ten more jargon-fuelled crackers. With more and more television viewers turning to sites like Twitter to weigh in on what they’re watching at any given moment, it’s no surprise that social media is attracting the focus of content creators and television networks. But it’s also attracting the attention of startups looking to capitalize on the opportunities created by a world in which the consumption of television content increasingly involves two screens.